I would like to take the opportunity of this special day to express how much the influence of Free Software to my life is. Back in 2005 I started to use Linux and because I had no clue I looked for support in the German-language Kubuntu community. This is how I jumped into and got an idea about Free Software. Kubuntu and the people were fun, after some time I was able to give support and not only take it. I helped out with other things, started to attend conferences (usually also in combination with a Kubuntu community booth). I met amazing people who became really really good friends. An outstanding position does have the LinuxTag in Berlin, because there I made my most important contacts. It was the first time, I met my friends from the German-language Kubuntu community in person. It was the place, where I first met Frank, founder of ownCloud. The later founded company behind the ownCloud project now gives me the chance to make a living with free software. I cannot deny it was a dream. Most important however was that at the same conference I met my beloved wife. 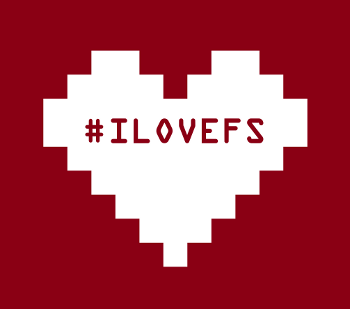 Yes, personally the I Love FS day has more in common with the Valentine's day than you might guess. Needless to say that LinuxTag was also the first conference, my son attended – at the age of 9 months ;) Happy I Love FS day!